Hello All, long time no see! I've not had much time to play FM in recent times due to working six days and my young family constraining my ability to relax and get into a save, however I think I have found a challenge that could last a long time even if progress might be a little slow at times. 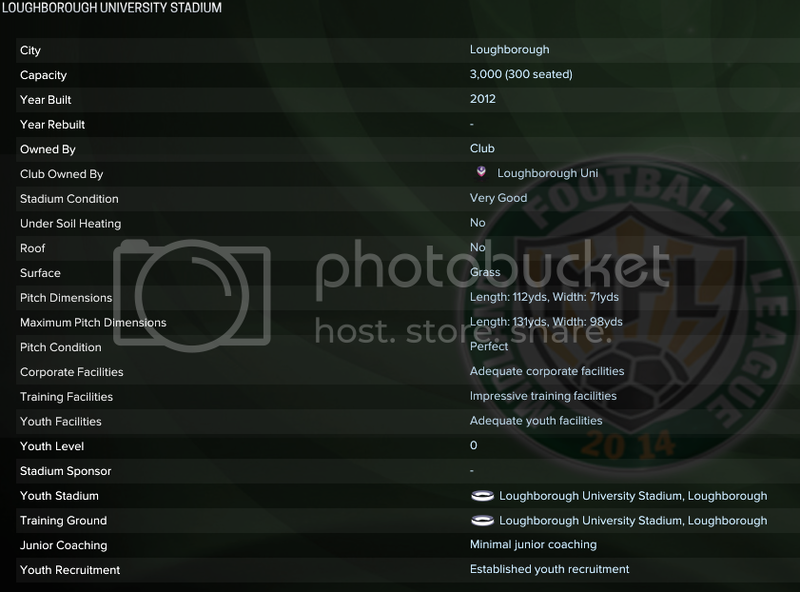 There are two main teams playing in the town, Loughborough Dynamo are in step step four of the non-league pyramid and the University side are in step five, so I decided to go with the Students to see how far I can take them. Lets be clear from the start, I don't have any far fetched ambitions of winning the Champions League with them, due to the nature of a Uni side they will forever remain amateur so I will never be able to spend money on a player, either through transfer fees or wages and will be totally reliant on finding free agents and developing my regens. It also means that I will never receive a penny in player sales as no player will ever have a written contract that can be brought out so to make money I shall rely mostly on ticket sales. My aim will be to use any money I do make to improve the youth coaching and facilities so we can train high quality youngsters. I can't get upset when my best players leave for nothing as the entire purpose of a university is to prepare players for bigger and better things, I have to establish the mindset of being a youth development coach and focus on preparing replacements in the reserves who are ready to fill the gaps left. 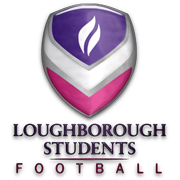 I'm a student at Loughborough, so I'll be following this closely! 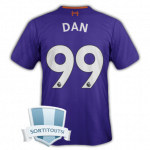 Good luck as always @Rick87. You always do have some of the best OP's to a story, hope this continues. Totally relate to the lack of time to update/play regularly!